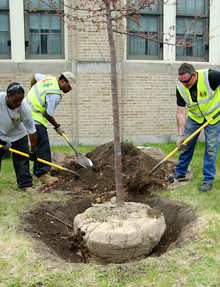 Greencorps Chicago is the City of Chicago’s community landscaping and job-training program. 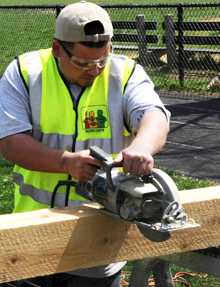 Launched in 1994, it is one of the first green-collar job-training initiatives in the country. Greencorps provides extensive re-entry training in horticulture, weatherization, electronics recycling and warehousing to unemployed individuals. At the same time, it offers horticultural instruction, plants and technical assistance to Chicago organizations that garden in public spaces. Learn more about Greencorps Chicago.